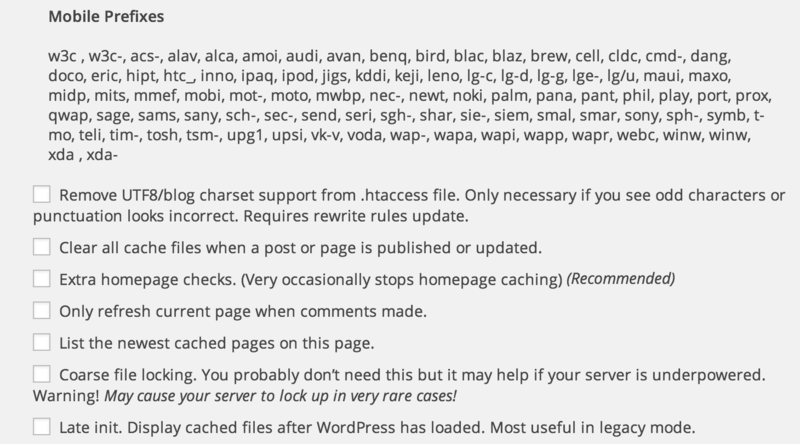 I’ve been using WP Super-Cache since last 8 years and there is no doubt it’s the best Caching plugin available for WordPress. There are more than 38K Plugins available in WordPress Plugin repository. Isn’t that amazing some WordPress Plugins really help enhance your blog’s functionality without any cost to you? Yeah and WP Super Cache is one of them. 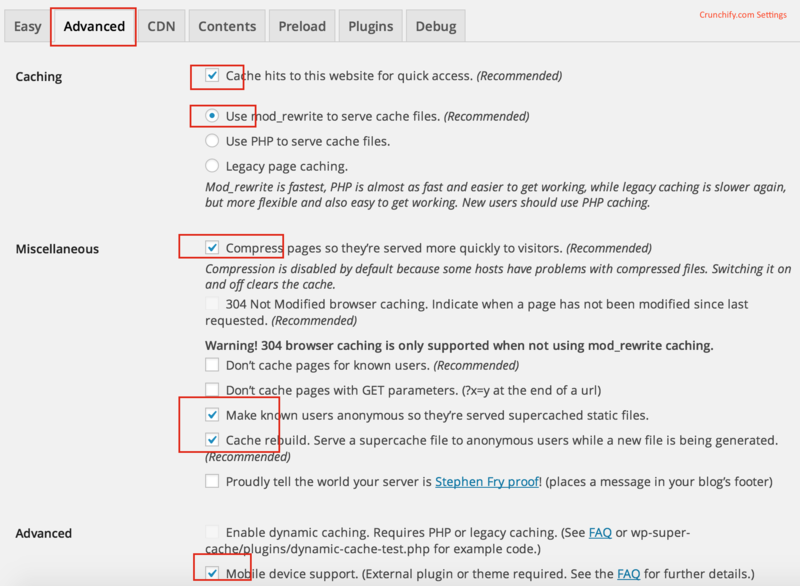 In this tutorial we will go over basic wp super cache settings on how to configure it correct way. Let’s checkout Page load time first. How to Configuring WP Super Cache Properly On High Traffic Site? Once you post an article on Social Media sites which have thousands of followers. There might be some possibility that – you may start getting more and more traffic for specific post within few minutes. WordPress as a framework servers that HTTP request and builds HTML page with the combination of theme and DB data. Do you think you have to make ~1000 calls to DB in case of same post call? I believe, there is no need to generates thousands of requests on your server, rather just send request once to server and then serve the same Static page to all followers. WP Super Cache plugin generates static html files from your dynamic WordPress blog. After a html file is generated and available under /cache folder, your Web Server will serve that static file instead of processing the comparatively heavier and more expensive WordPress PHP scripts. Each and every person may have different setting and observation but we are running Crunchify with this WP Super Cache settings & would like to share the same with my users. Make known users anonymous so they’re served super cached static files. 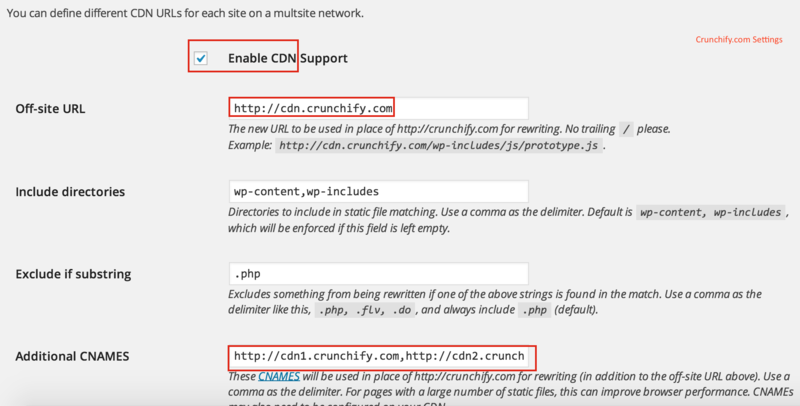 Crunchify uses MaxCDN service for Content Delivery Network. Provide below options if you are already using it OR just keep box unchecked. Go to Contents Tab and Click Delete Cache button. Keep Preload, Plugins, Debug tab untouched. 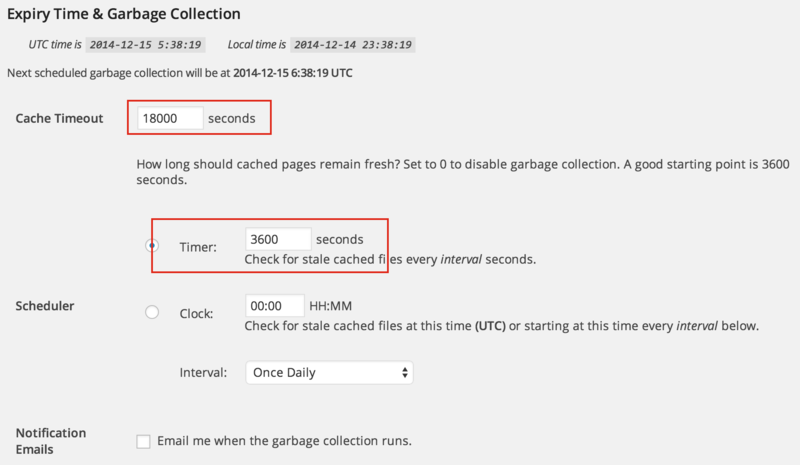 What do you think of WP Fastest Cache? I have using it, seems alright, except it doesn’t full features (paid). How does Super Cache compared (to Fastest Cache)? WP Super Cache is very well supported and highly downloaded WordPress plugin out there. It’s without a doubt best plugin out there. Hi Mike – did you try clearing your browser cache after making changes? Make sure you are also on decent hosting platform. I checked this checkbox like you said, “Make known users anonymous so they’re served supercached static files.” but that created a bug on my blog. I couldn’t access Appearance > Customize, I was getting the “Non-exiting UUID” message. Interesting Marie. Did you try updating your .htaccess file after that? Also, don’t forgot to clear Cache. Hope that helps. That’s great Jody. I’m glad all tips help you 🙂 Happy blogging and keep visiting. Thank you for the information. I am going to uninstall w3 total cache and install this one. See which one makes my site faster. I will do a video about it. Hi there – great. let me know your finding. Would like to share it with all my readers too. I have applied your settings and some extra’s. It made my site 4.6 sec. faster than with W3 Total cache. But i have a problem, the Admin bar does not appear fronted when i’m logged in backend. Sign In fronted is not working. Any solution for this? Between I didn’t get your questions: Sign In fronted is not working.. What does this mean? That’s probably because you enabled “Make known users anonymous so they’re served super cached static files” option. What that option does is, serves the cached files to all the logged in users as well. Therefore, you aren’t able to see that admin bar on the top. As far as what I believe, that option should be turned off so that when you update your articles, you’ll be able to see the changes, else, you’ll be served the old static cached files. And, it’s always good to not serve cached files to logged-in users. Thanks Paras for tips. TLEG – let us know if you still have any questions. Thanks for this informative post,helped me alot.